Our clear stickers are suitable for glass doors and windows. Let us know how long you need the stickers to last for our best advice. For outdoor use, always stipulate UV resistant inks. Our clear stickers are easy to remove. No adhesive residue. Waterproof, UV inks for vibrant colour and durability. 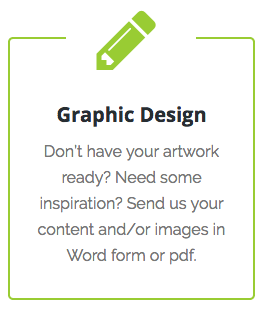 Printed on clear gloss vinyl adhesive – full colour with white ink. Reverse print available. 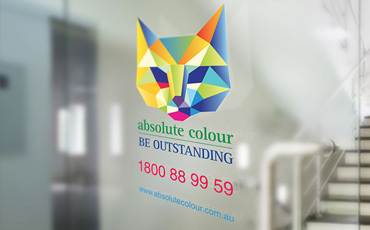 Absolute Colour Printing – providing Australian sticker and label printing. When clear material is printed in full colour, it requires white ink on back of the image to for reflection of the full colour ink. Although it’s possible to print without the white ink, the colour printing is transparent. Even if there are large solid areas of colour, e.g. dark blue or even black, you can still see through it. This makes it difficult to read the sign. It’s still possible to read it, but it looks very poor quality and not a good representation of the business it’s meant to advertise. There are many companies selling clear decals and stickers, but it’s a complete waste of money if the image is not backed by white ink.